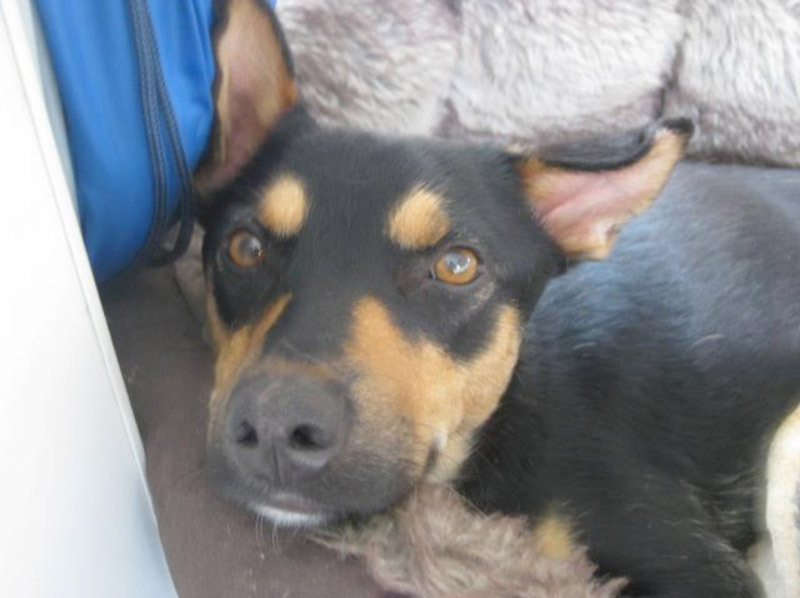 Tempo is a Podenco Orito and now lives in his forever home with Rebecca Roberts. “In June 2012, we rescued a cheeky young dog named Tempo from SOS Animal UK who had not only changed our lives for the better, but bought a huge amount of fun and laughter with him! My partner and I have known for a while that we wanted to get a dog however, given the situation in that we both work full-time we felt this was unfair on the dog to be left alone for all this time. Earlier this year, I changed jobs and am fortunate to live so close to work and am able to have my lunch breaks at home. After long discussions, we decided we wanted to rescue a dog. My partner Jimmy, has grown up with dogs and they have been a part of his life whilst I didn’t have any growing up and am a complete novice when it comes to dog in general. We knew we wanted to rescue a dog; the breed wasn’t as important as was the character of the dog, and after lots of research I came across SOS Animal UK’s website. I had never heard of a Podenco or Galago; let alone heard of how desperate the situation in Europe was with their stray dog population. After speaking with SOS Animal UK and being home checked, we decided that a Podenco would make a great family pet although bearing in mind the recall issue the breed had might be a potential problem. We travelled to see Lucy, a Podenco Andaluz, and fell in love with her and decided regardless of the recall a Podenco would make a lovely family pet and would love to have one as part of our family. Unfortunately for us, Lucy wasn’t as independent as we hoped. We required a dog that could be left on their own without causing any anxiety to the dog! Tania from SOS Animals UK suggested we visit Tempo, who was a smashing little chap with great character, and was left by himself at his current foster home. 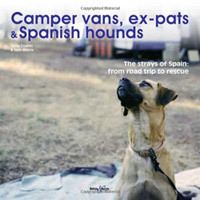 Tempo was found as a stray puppy by an English family in Spain who contacted SOS Animal UK as they were moving and wanted to find somewhere safe for him. 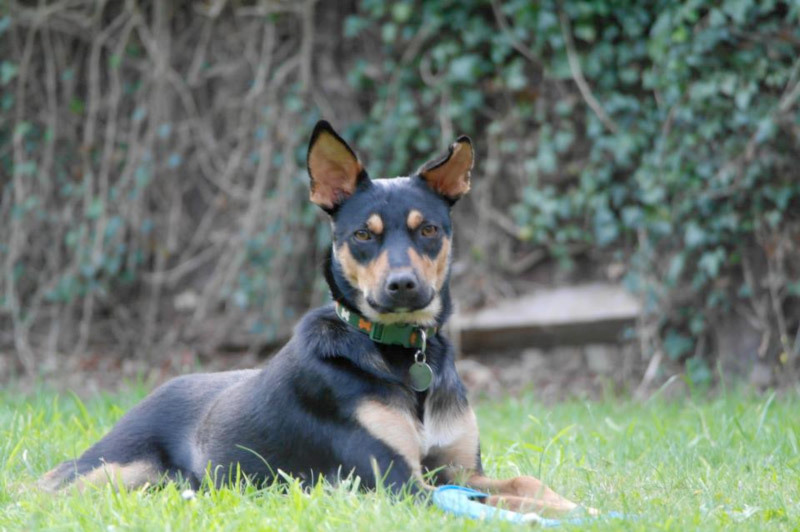 Tempo is a Podenco Orito crossbreed, which like his distinctive relatives has the big ears and long face. 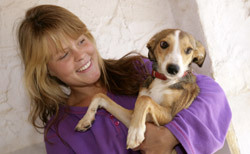 The Orito (meaning “gold” in Spanish) have characteristic of golden eyebrows and are shorter in stature to the Andaluz or Canario type Podencos. We decided to visit Tempo and spent an afternoon chatting with his foster Mum and taking him for a walk. Despite his excitable energy when initially meeting us, he calmed right down and decided he wanted to be cuddled and sat in my lap. He is such an affectionate and loving dog and wanted all the attention he could get from our initial visit. Tempo was also very responsive to us on the lead when we took him for a short walk, sitting and stopping when told. We left feeling delighted at finding such a great boy and could see him fitting into our family. A few weeks later we travelled back to pick him up, and whilst the car journey was very nerve-wracking for us all, Tempo settled down lovely in his new home and we didn’t hear a peep from him on his first night! Right from the start, he settled well at nights, and we had no problems putting him to bed in the evenings. His excited energy has been toned down the longer he has been with us, and beside from his morning walks, he is a pretty relaxed adolescent! He has his moments of course! Yet he loves to sit in the sunshine and relax, and will play with anything – this includes bug hunting in the garden! Head down, bum-up with tail wagging is a common sight! Naturally, Podencos are brilliant hunters and when we take Tempo out he goes into his own little world – birds, rabbits, field rodents are all his priority! He dives in and out of the long grass and hedgerows in attempt to catch something! Needless to say, in the short time we have had him, we have not let him off the lead, and I think as Tempo is very prey-driven and it is difficult to get his focus, we will be very cautious when we do let him off! In and around the house, Tempo is very attentive and is aware of all that is going on and more often than not will follow us both around and plonk himself down in the same room watching our actions! Tempo has been a great addition to our family. He is hard-work on the lead but totally worth all the effort as he is very lovely and affectionate at home. He loves his cuddles but equally will take himself off to bed if he wants some space or play independently of us.